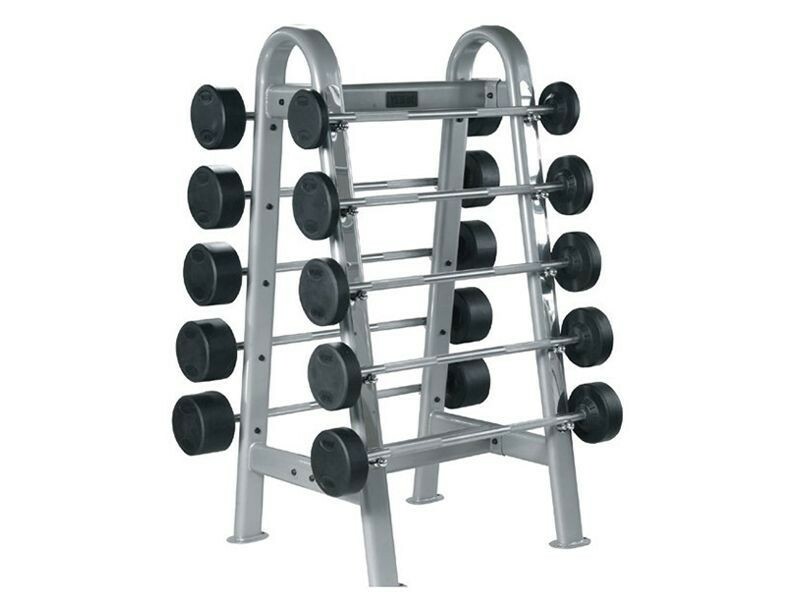 Store all your pro-style barbells neatly and compactly on this user-friendly rack. 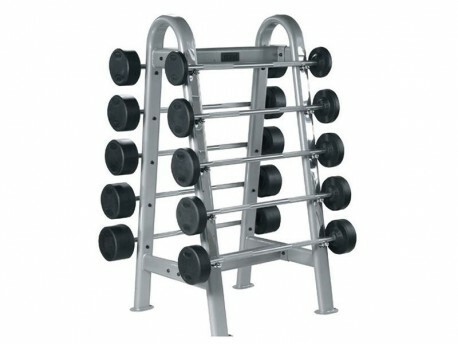 Holds 10 barbells, 5 on each side. 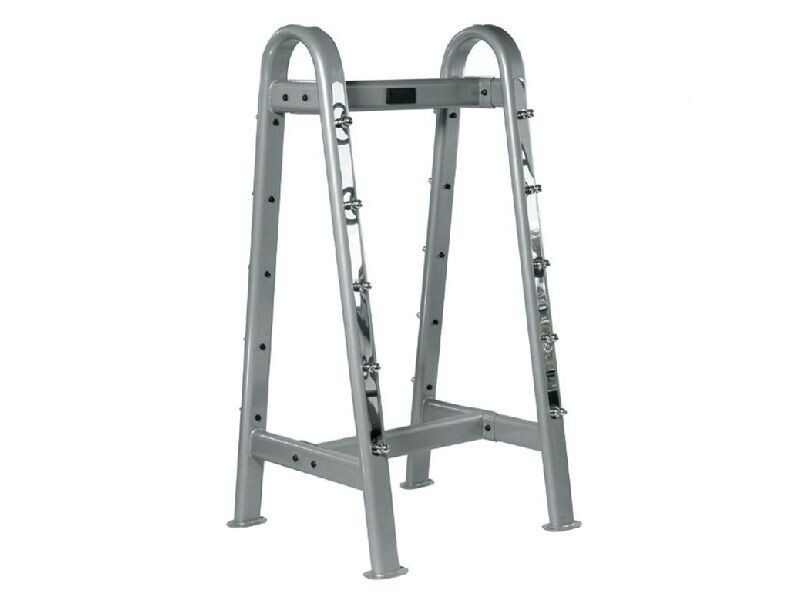 This rack will fit any of York's straight or curl fixed-weight barbells, but not Troy's curl barbells, as the rack is not quite wide enough. See Troy's rack if you're going to be using Troy's curl barbells.